Search your feelings! You want this piece of art, you know it to be true. 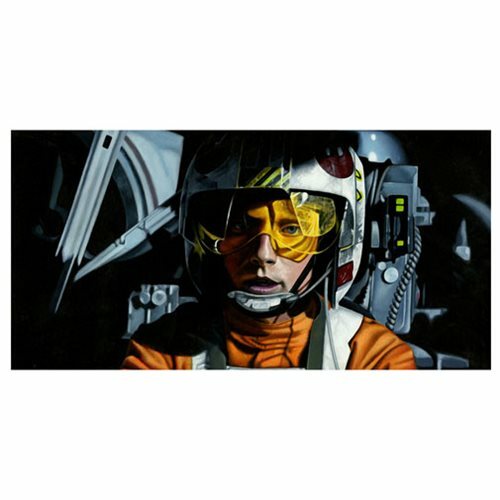 This Star Wars Search Your Feelings Canvas Giclee Print features Luke Skywalker taking a deep breath as he takes aim on the Death Star's exhaust port sans targeting system and is about to blast the fully functioning space station into righteous oblivion. A limited edition of 95 hand-numbered pieces on canvas that have been signed by artist Damien Freisz, this beautiful artwork print comes complete with certificate of authenticity and measures 24-inches wide x 12-inches tall.